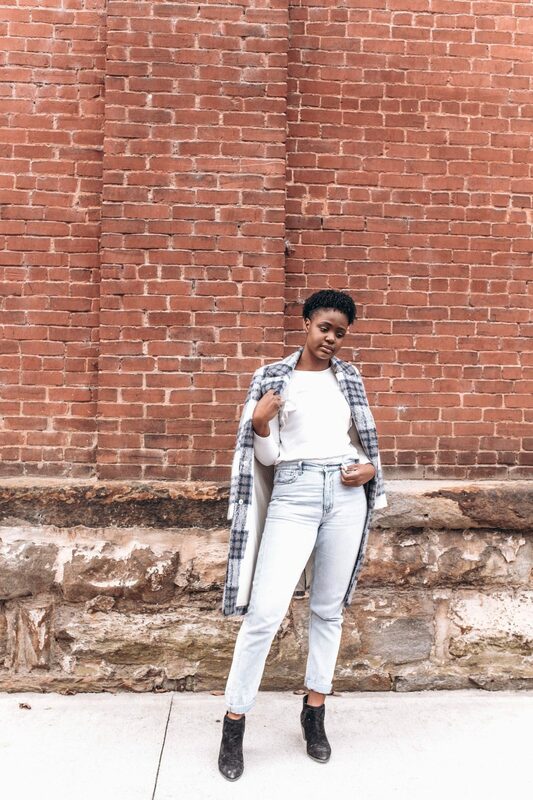 Everyone needs a Mom Jean in their Fall Closet. I always chose comfort when it comes to my outfits, if you feel good you look good is my motto. Mom Jeans have been my mantra ever since I discovered them. They are so comfortable and can be paired with a range of outfits. If you know me it takes a great deal for me to put on a pair of skinny jeans, its either I’m complaining the whole time or I change halfway through the day. This summer before my trip to Nigeria, I invested in four pairs of Mom Jeans from American Eagle when they had a huge sale. Yup I only buy stuff when it’s on sale. I recommend the American Eagle Mom Jeans because of its affordable price and decent quality. and Urban Outfitters have very good quality Mom Jeans as well at very affordable prices if you catch them on a good sale. Madewell is a store that also has the best Jeans. I will buy any pair of Jeans that they have and they sell very nice Mom Jeans currently in stock. Their Jeans feel like butter against your skin and its very good quality. On my Instagram this summer I paired everything with them, from a T-shirt to a cute blouse. 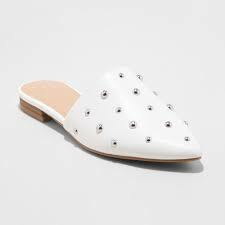 This fall I pair them with oversized sweaters, knitwear, jumpers and long sleeved blouses and throw on a Motorbike Jacket or a Long Teddy Jacket to achieve a chic, edgy and warm look. 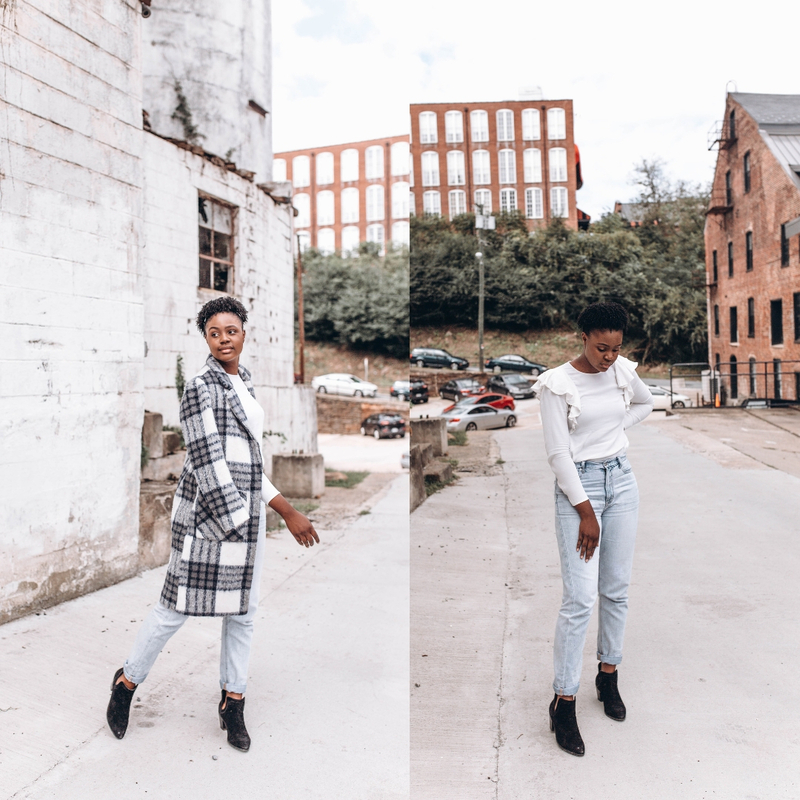 In these shots I took recently, I have on a light wash Mom Jean from American Eagle that I have in the Shop slide above. I pair the lighter wash colors with a darker color jumper or an oversized sweater and put on a western belt to complete the look. 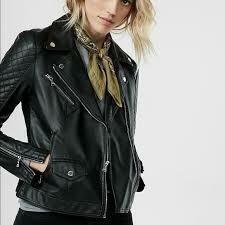 Sometimes I also pair it with a lighter color and a darker Jacket like I did in the pictures. I paired it with a H&M blouse and topped it up with a Forever 21 blazer which I got a while back. 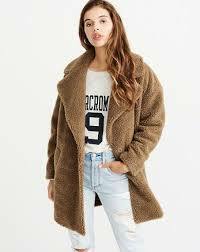 It was steal in my opinion and is of good quality, perfect for the Fall weather. 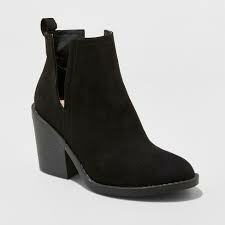 To finish it up, I pair them with a chic pair of loafers or ankle boots. 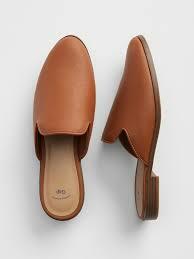 These two items have been very trendy this season as well as pairing the Mom Jeans with cute mules. Target has a lot of them for affordable prices this season. Definitely use this opportunity to shop them. 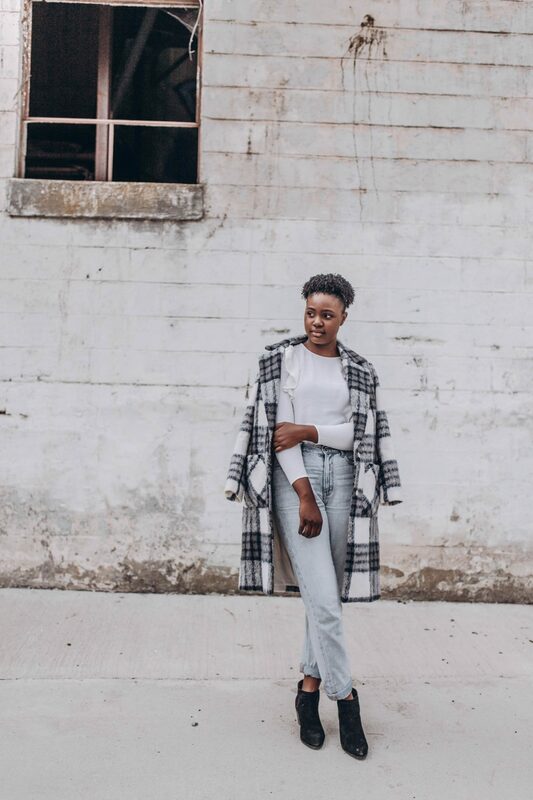 For darker washes of a Mom Jean generally lighter colors of shoes and tops will then apply and a lighter color of jacket depending on the overall pairing you have in mind. My Fupa won’t let me be great in mom jeans! But I love this post. Thanks soo much, And I’m sure you will look Fantastic!! !, I know it! Love mom jeans. They’re so comfy and stylish. Love that coat too! I know right?? They really are very comfy.Thanks soo much! Looks great. I have never brought these. I will have to look next time I am out shopping. Thanks for sharing.